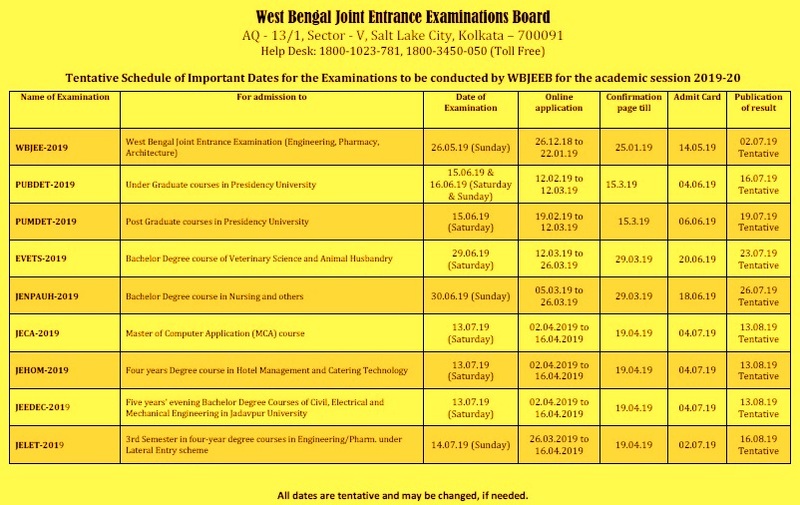 The West Bengal Joint Entrance Examinations Board was formed in the year 1962 for the purpose of holding Common Entrance Examinations for admission to the Undergraduate Level Engineering Courses in the State of West Bengal. The endeavour of the Board has always been directed towards enhancement of transparency in conducting Common Entrance Examinations for various professional Undergraduate and Postgraduate level courses in the State through effective state-of-the-art technology.For the 2019–2020 academic session, the Board will conduct the Common Entrance Examination for admission to Undergraduate Courses in Engineering & Technology, Pharmacy and Architecture in Universities, Govt. Colleges and Self Financed Institutes in the State. How to download WBJEEM 2019 Admit Card? The process for downloading admit card of WBJEE is simple and candidate friendly. General steps followed to download the hall ticket, as understood from last year’s process is outlined below. Go to the official website of WBJEE. If the admit card is available, you will be able to see the link for downloading admit card there. On entering details, you can log in and download the admit card of WBJEE 2016. A sample admit card of a few years ago is given below for your reference. For each Applicant, an Admit Card has been generated indicating the allotted Examination Centre and a downloadable version of the WBJEE admit card will be published on the respective webpage of the candidate concerned. An Examination Roll Number will also be generated for each candidate. Admit cards will be generated on the notified date for the student to download and take a print. After submission of application forms and receipt of application fee by the Board, an WBJEE Admit Card will be generated. You can download your admit card of WBJEEM exam here now. Candidate will need to log in using Application Number and Password. You must download the soft copy of the WBJEE Admit Card from the website wbjeeb.nic.in and appear in the examination with a printed hard copy at the concerned Examination Centre indicated in the downloaded Admit Card. You must ensure that the photograph and signature printed on the admit card of WBJEE are not mutilated / distorted / soiled even by accident. Candidates with such mutilated / distorted / soiled admit cards will not be allowed to appear in WBJEEM entrance exam. You are required to present the printed and un-tampered copy of the WBJEE admit card along with Identical one copy of original photograph (same as uploaded). All applicants who appear to be prima facie eligible will be issued admit cards and shall be provisionally permitted to sit for WBJEEM 2019. Candidate has to carry to the examination centre a printed hard copy of the admit card along with a photograph identical with the one uploaded earlier. Candidates must ensure that the admit card is not mutilated/ distorted/ soiled even by accident. Candidates with such mutilated/ distorted/ soiled admit cards will not be allowed to appear in WBJEE-2019. Candidates are advised to retain their admit cards carefully in secured place in undamaged condition in all respects till completion of admission procedure. 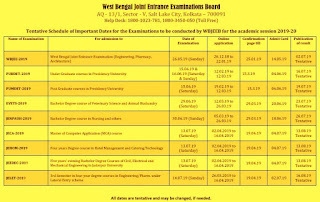 Pursuant to the Indian Medical Council (Amendment) Ordinance, 2016 and the Dentist (Amendment) Ordinance, 2016 published by the Ministry of Law & Justice (Legislative Department) through the Gazette Notification on 24 May 2016, the West Bengal Joint Entrance Examination Board has decided to conduct the State Common Entrance Exam (WBJEEM – 2016) for admission to MBBS & BDS course on 20th Jul 2016 (Wednesday). WBJEEM 2016 for Medical will be conducted on (i) Physics + Chemistry paper and (ii) Biological Sciences paper based on the syllabus already declared in the Information Brochure – 2016. Candidates are not required to submit fresh application or deposit any fees etc. for appearing the said examination. 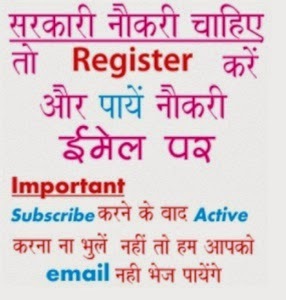 Fresh Admit Card will be issued to all the candidates appearing for the examination. After downloading and printing it, please check that all the details are correct and verifiable. Get here complete details of WBJEE admit card 2016 such as how to download it and dates.